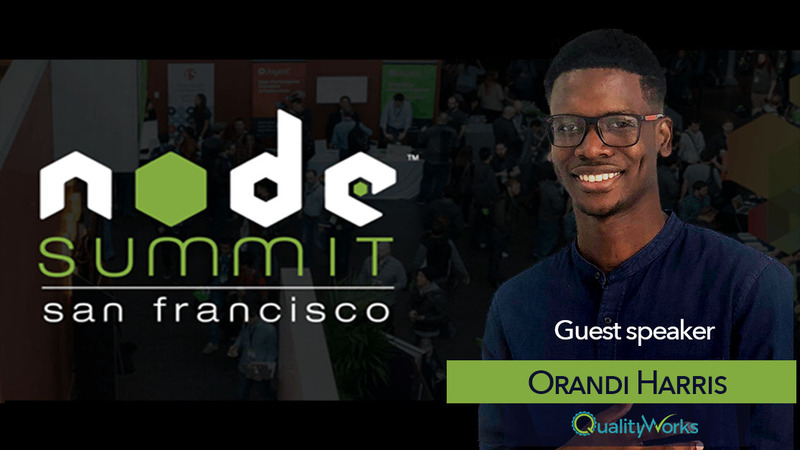 Software Consultant, Orandi Harris, is gearing up to deliver his first international speech at the NODE Summit in San Francisco, California. The presentation, which is scheduled for the 24th of July, 2018, will focus on the benefits of Visual Regression Testing using NodeJS programming language from the perspective of a B2C company. With an expected attendance of over 2000 people, The Node Summit is the largest conference focused exclusively on Node.js and “The Ecosystem of Node.” This annual summit showcases the foremost thinkers and experts within the industry. Harris is one of two Caribbean presenters and the only Jamaican confirmed thus far for the conference. He has utilized Node.js for the past two years to create automated test suites for various web and mobile applications. Having delivered speeches on IOT and DevOps at the biggest I.T conference in Jamaica, the JCS Conference, Harris is definitely no stranger to public speaking. Driven by his commitment to the advancement of his country, Harris is thankful for the opportunity to share his passion.